Two men and a teenager have denied hiding a cache of guns and ammunition in the aftermath of a fatal shooting. 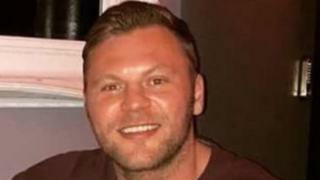 John Pordage, 34, was murdered by Bradley Blundell at a petrol station in Chelmsford, Essex, on 5 August 2017. Reece Williams, 20, of Brookmans Road, Stock, Robert Ketley, 24, of Berkley Drive, Chelmsford, and a 17-year-old who cannot be named for legal reasons have been charged with possession of firearms and ammunition. All three denied all six charges. The prosecution alleges the three helped move a revolver, sawn-off shotgun and bullets from a property in Jenner Mead, Chelmsford, to a nearby park in Stanley Rise. They face two counts of possessing prohibited weapons, three of possessing ammunition and one of perverting the course of justice. They are due to stand trial on 21 August.